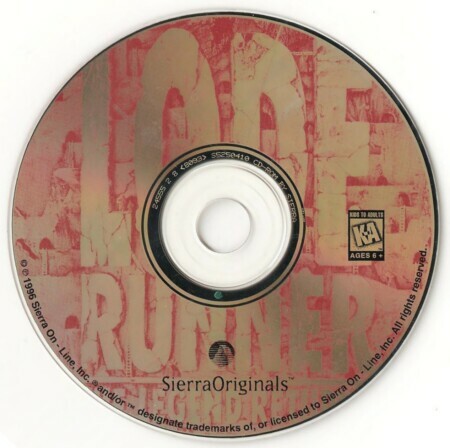 I will also provide a compatibility CD that will allow the game to run under OSX versions 10.6 and higher. This covers any Macintosh made since late 2009. Joysticks are supported though XBox style gamepads are not. Lode Runner is a simple game by concept, yet thoroughly engrossing in execution. Your task is simple - run through a maze of ladders and levels collecting scattered gold pieces while being pursue by the bad guys. To stop there, however, doesn't do justice to the game. This is an action game with incredible cerebral planning and scheming. It is the true classic action/puzzle game. This remake did wonders to the original CGA 320x200x4 color. This version presents the game in 256 color graphics that look handpainted. The animation cels for the characters are quite detailed and are accompanied by a rousing soundtrack and sound effects. The game also includes a level designer/painter so you can invent your own levels or redo all the originals. 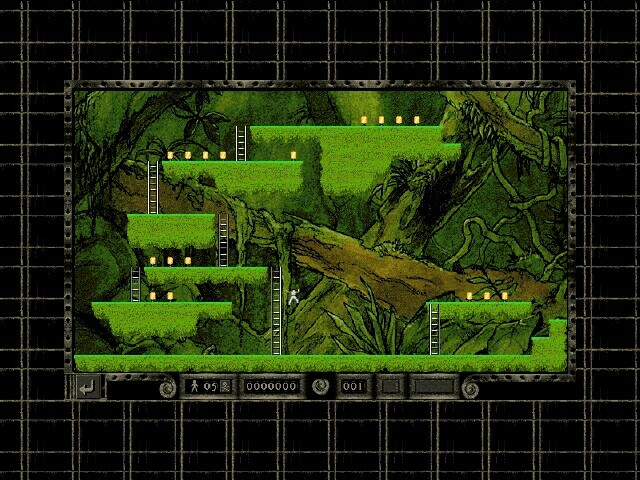 If you've never played Lode Runner before - don't miss this one. 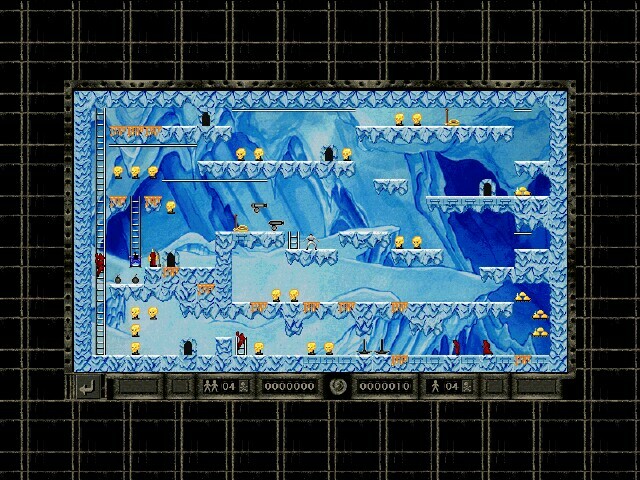 If you've played Lode Runner 'til 4am and wondered where the hours went - don't miss this one.